View the file name and confirm that it is correct. 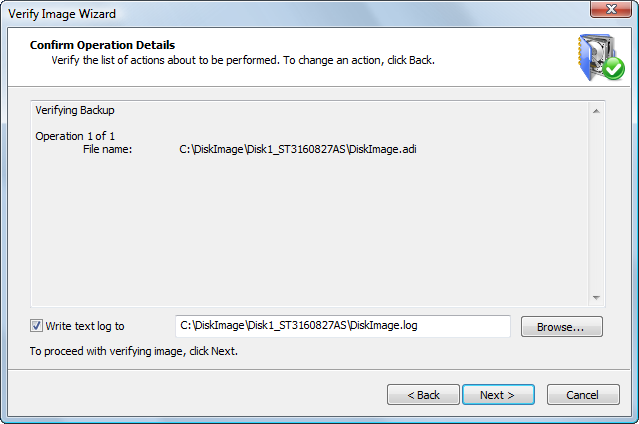 To change the file name, click Back and choose a different image before proceeding. If the file name is correct, click Next to start the process of verifying the image. The process of verifying the image can take a long time. You can watch the progress bar on the Progress page.